Saturday morning, I made a very necessary run to Walgreen’s for coffee and then spent a long time in the morning researching in the Bible what I wrote in my recent post on grace. I think this is going to be the hypothesis or main focus of the book I’m slowly attempting to write. 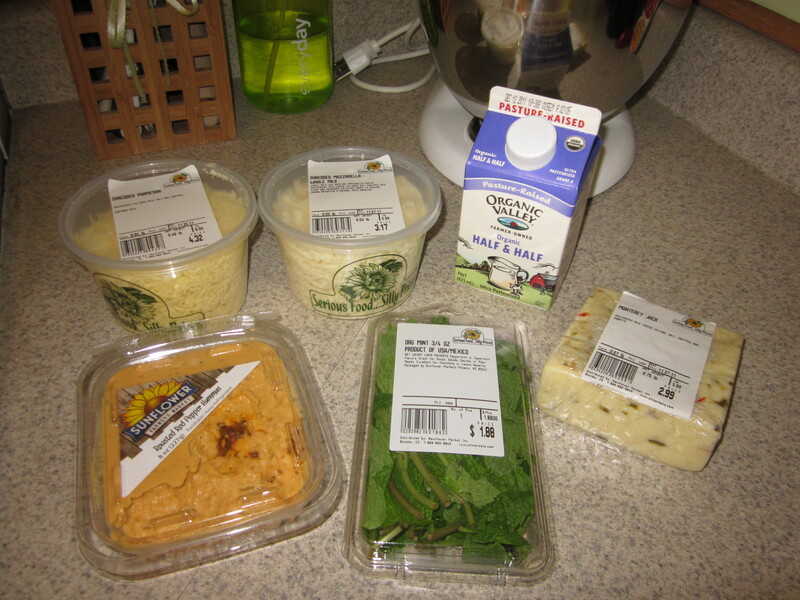 Then I made my shopping list, and went to my favorite grocery stores: Sunflower Farmer’s Market and Safeway. 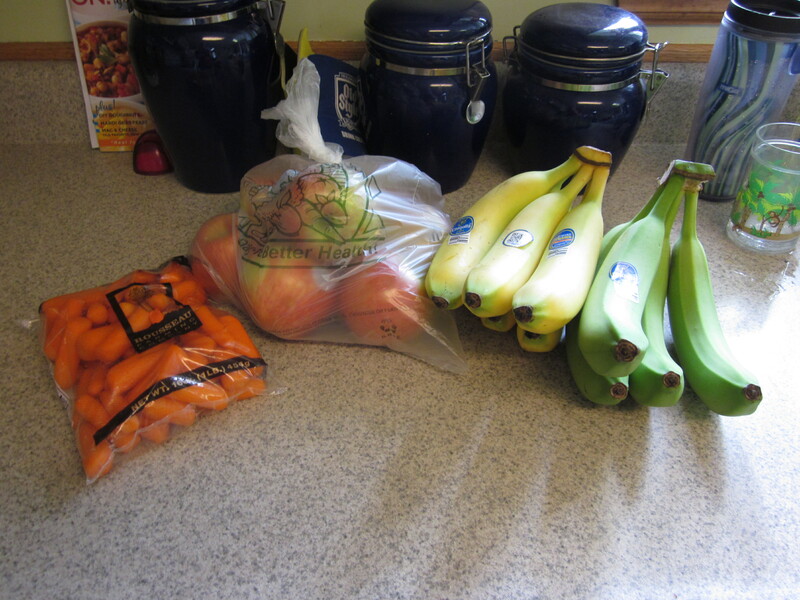 In case you’re curious, I spent a little less than $100 on all of that (plus sandwich bags and Febreze, unpictured). 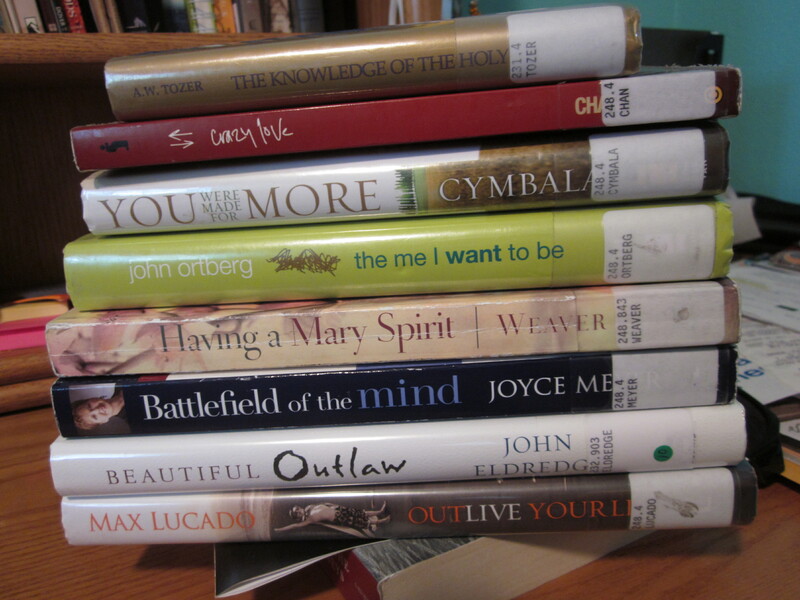 I started reading Beautiful Outlaw by John Eldredge and LOVE it so far. 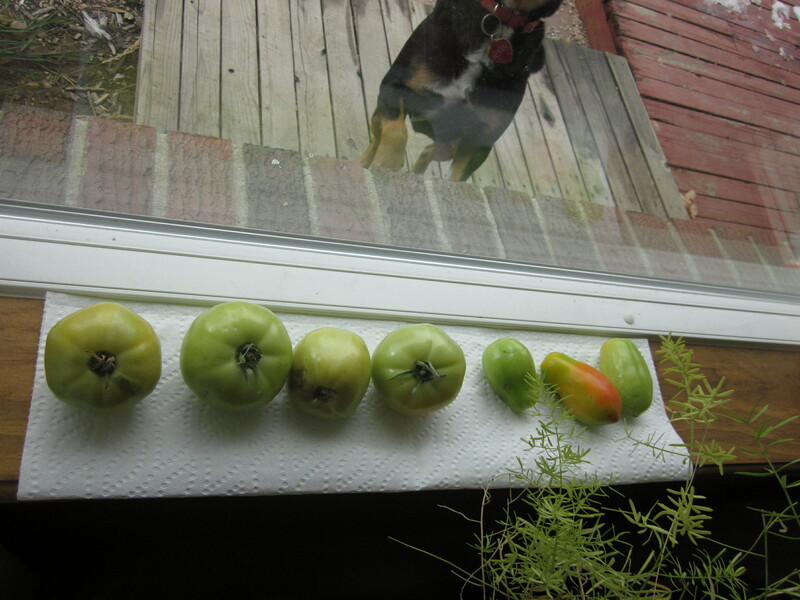 I also set out our green tomatoes in the sun to ripen. Instead of diving right into the books though, I went on a 3 mile tempo run with the dogs (32:43) and then did the first 30 minutes of YogaX. 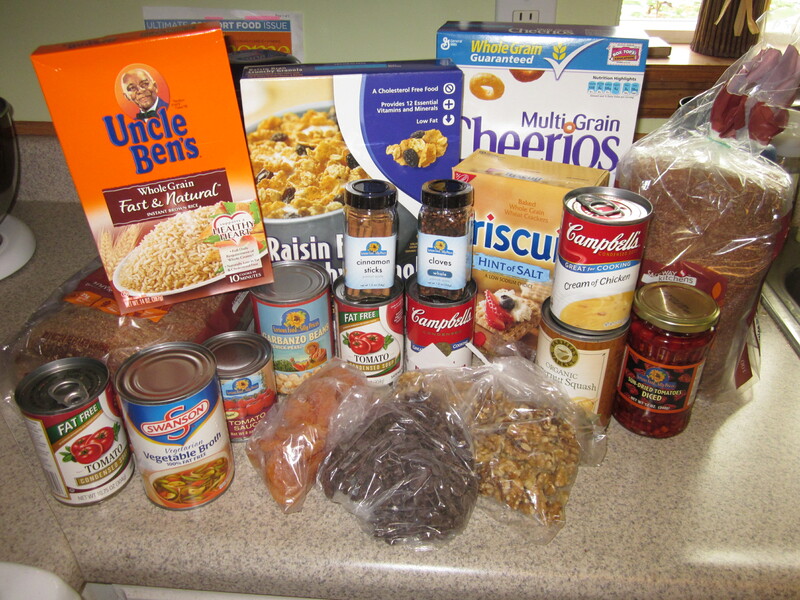 Sunday, we went to church, ate lunch (leftover Tortellini Soup, which was delicious but very rich – would be good as a small appetizer instead of the main course, or with less cream), and after starting laundry and cleaning the bathrooms, did Travis’ favorite thing – shopping. Like a lot of men, he is very hard on his clothes and has one by one destroyed his good work jeans by either getting them irreversibly dirty or wearing holes in the knees, until he was down to one pair of jeans. So shopping it was. I was also on the hunt for a pair of skinny jeans to wear under my new boots. We looked at the thrift store first because I have been able to find a lot of good deals there for myself, but there wasn’t a good selection. So we headed over to the Eddie Bauer outlet at Denver West. Travis has had luck there in the past with finding jeans that don’t have holes or any weird washing technique. Often, men’s jeans are very “trendy” and Travis is not. So he sticks to brands like Wrangler, Carhartt, and Eddie Bauer. We found a couple of great pairs of jeans on the $19.99 rack – it was such a good deal, I was worried that they had been misplaced there (having worked in retail myself and seen that happen many a time). And I was right. They rang up at $49.99 each. 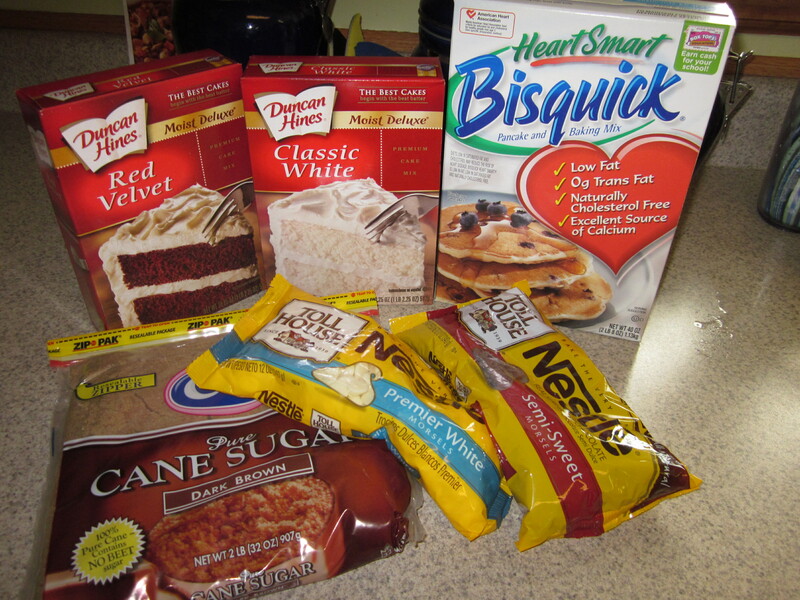 But when we said that we had found them on the clearance rack, the clerk was amazingly nice and gave us the sale price. I was floored. He saved us $60! I told Travis as we were leaving that I’m going to be sad when I can no longer shop in stores like that, either because I’m too old or because I can’t fit into anything, because those stores are so cheap! Shopping in adult stores meaning paying adult prices. Ugh… I don’t want to grow up. After our shopping trip, I called my mom, finished laundry, cleaned the rest of the house and then went on a 4 mile run (43:30) with Travis and the dogs. The pooches were still exhausted this morning! Have you read any good books lately? Do you ever feel weird wearing trends?